The porcelain throne. The royal office. The can. The loo. The john. The WC. Mrs. Murphy. 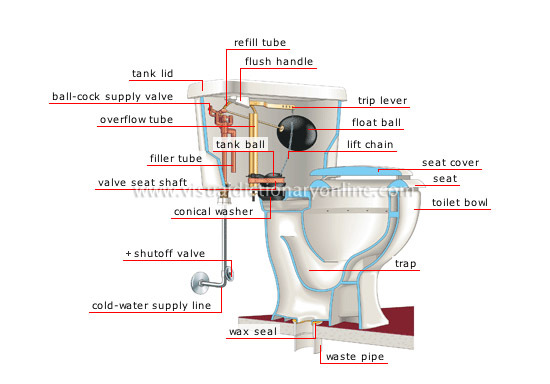 Known by many names, the toilet is a central component of any home. However, in spite of its frequent use and functionality, many homeowners overlook this necessary appliance in their bathroom renovations. Rather than running to the nearest hardware or plumbing outlet for a toilet right off the line, consider taking more care in your toilet purchases. After all, not all toilets are created equal. There are makes and models to fit anyone’s style, taste, and preferences. From the whimsical to the eco-friendly, there is a throne fit for your home. For the conservative homeowners, there are two main types of toilets to choose from: gravity flushing and vacuum flushing. 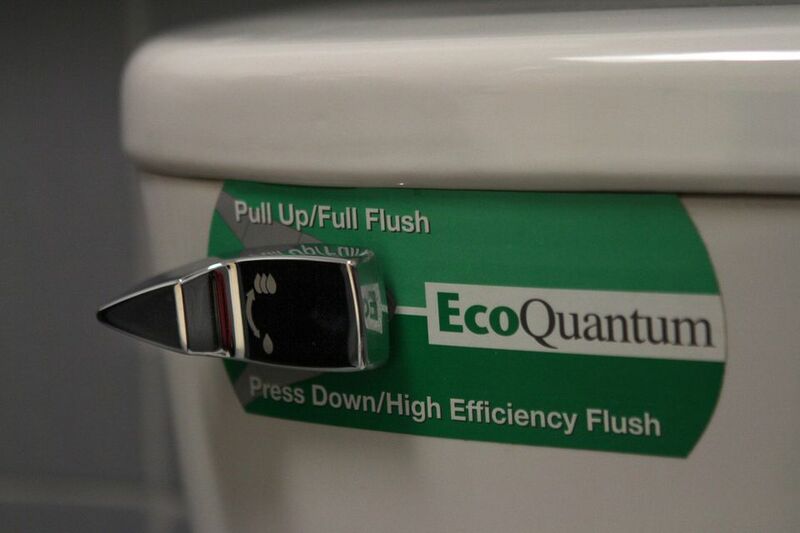 The former relies on gravity—surprise, surprise—to power each flush. The pressure from the water tank works to push the water through a complete cycle. That is why you can flush a toilet even when the power is out as long as you have water to refill the tank. Modern varieties, on the other hand, create a vacuum to pull—rather than push—the water from the bowl through the pipes. This type of toilet provides a more powerful and cleaner flush, but is also a more expensive choice than the gravity-flushing commode. Of these two, you have a variety of types and looks to choose from. From one-piece to two-piece sets, compare both function and style to find a throne fit for a king—or at least good enough for the rest of your family. Like a traditional toilet, low-flow toilets use gravity to power each flush, but require less water to do so. That’s good from a water saving viewpoint, but bad if you tend to have heavier loads to deposit. It makes for more frequent plunging, and a greater chance of insanitary (and frankly obnoxious) overflowing. Dual flushing toilets have been around for a while, but are only recently becoming popular on this side of the pond. They feature two settings: half-volume and full-volume flushes. The half-volume button uses half the water typically expended in one flush for lighter loads. The full-volume setting utilizes more water for heavier loads that may require more forceful cleaning. For the eco-minded consumer, equipping a toilet with two different settings enables greater conservation and reduced waste. About 90% of our waste is made up of water. Composting toilets take advantage of this in a system of evaporation that converts the remaining solid waste into rich fertilizing soil. Additionally, the system is odor-free, and sanitary—using special processes to eliminate any viruses or pathogens in the waste so that it is safe to use and recycle. A word of advice: Composting toilets do require some special plumbing adjustments and specifications. Therefore, before you invest time and money to install one, it would be wise to have a drain inspection and evaluation from a certified plumbing professional. Paperless toilets are another trend that is gaining popularity in the green movement. Many people are installing separate bidets in their bathrooms, or all-in-one toilets that reduce the amount of paper consumed. It does use more water though, so for many it is a “lesser of two evils” issue. Finally, for those set on eliminating water waste, waterless toilets are a great option. Some use jets of air to flush waste, and others incinerate it. They can use electricity, propane, natural gas, and even diesel fuel in a variety of methods that reduce waste into sterile ash. If you can imagine a crazy shape for a toilet, it probably exists. There are toilets in a variety of shapes and colors, from people to teapots, to your favorite TV characters. These novelty toilets are not for the conservative bathroom. Whether you have a quirky home in general, or simply enjoy adding unique accents to your décor, you can likely find a toilet to fit your personal tastes—however whimsical they may be. For those of you who are just rolling in the dough, you can find toilets that truly resemble the thrones for which they are nicknamed. Looking to impress your wife? A diamond encrusted seat cover is just the ticket. Prefer a little more comfort? Pick up a model with heated seats, a foot warmer, and even a built-in sound system. With a commode like that, “restroom” may no longer be just a euphemism! But, personalization isn’t just for the quirky and rich out there. Many households require special features and accommodations. For example, for elderly customers or those with disabilities, there are various specialty toilets available to meet their specific needs. So, whether you wish to indulge a whim or accommodate special needs, there are multiple options available to suit every type and personality. Next time you are in the market for a new commode, don’t just go for the same old toilet everyone else has; find one that fits your needs and your style, and never have a boring bathroom time ever again! Michael David is a freelance journalist and blogger living in New York City. Michael loves writing about DIY projects, home improvement, and garden-related topics.